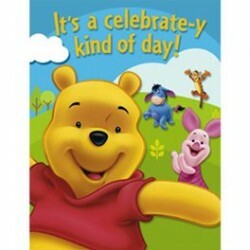 Pooh & Friends Party SuppliesThere are 3 products. 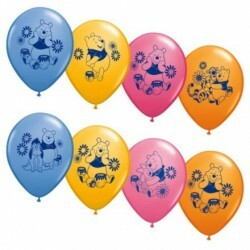 Invite the honey loving bear and his pals to the party with Pooh & Friends Latex Balloons. Each design features several of the characters indulging in some playful fun. Transform your child's party into the pleasant neighborhood of Hundred Acre Woods. 48/Pkg - Value pack favour bag. Includes 8 treat bags with 40 fun favors! 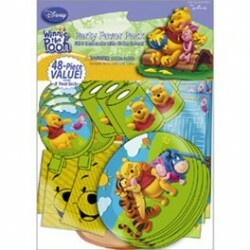 Pack includes 8 loot bags 8 activity sheets 8 jumbo stickers 8 kaleidoscopes 8 whistles 8 plastic springs Great for any pooh bear party.